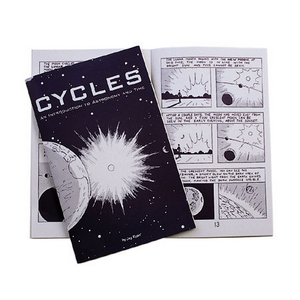 An illustrated introduction to astronomy and time. Adults and older children will love this friendly pocket-sized guide! Restore an awareness of the cycles of our planet, lost by modern man's dependence on clocks and calendars. Engaging illustrations graphically reveal the motion of the Sun and stars, phases of the Moon, and the reasons for the seasons. Remedy common scientific misconceptions with these delightful cartoons! 1997, paper, 32 pgs. each. Set of 10. For ages 10 and up. By Jay Ryan.